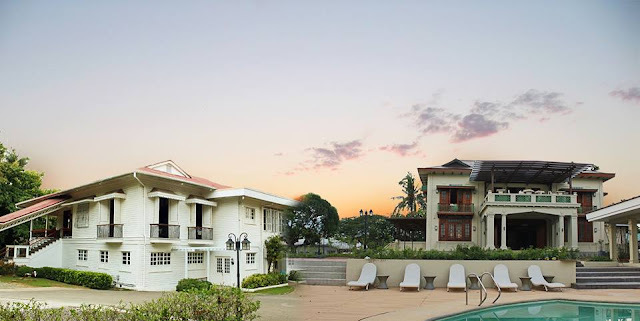 Cebu City is the center of almost everything – from its location, culture and tradition, seafaring industry, and most of all the best restaurants in cebu . The flourishing tourism industry in Cebu has caused a positive impact on Cebu’s food and drinks sector. Today, one can have a choice of high-quality, local and international cuisine compared to three decades ago where there were very few restaurants around mostly offering Chinese-inspired cuisine. …and here are our 10 best restaurants in Cebu City, Philippines. Anzani is a husband and wife team, Marco and Kate Dychangco-Anzani and the name Anzani is derived from their name. It was established as a dining destination way back in 2008. 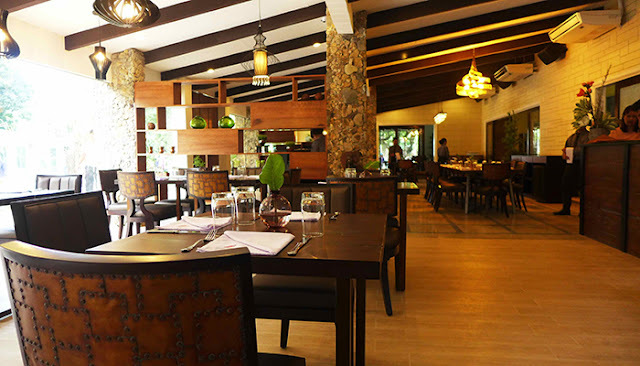 Located in panoramic Nivel Hills, Cebu City, the restaurant offers varied choices of gourmet dishes with a cuisine largely focused on Italian dishes. It has been nominated and awarded by The International Award for Tourist, Hotel and Restaurant Industry as the “Most Outstanding Dining Destinations in South East Asia” and the seal of excellence as the “best of the best in the Philippines in mid-quarter 2011 presented by the Philippine Tatler Group”. And in 2016, ANZANI got awarded as Restaurant of the Year 2016 by the Sun Star, and validated by Sakura Magazine Japan. 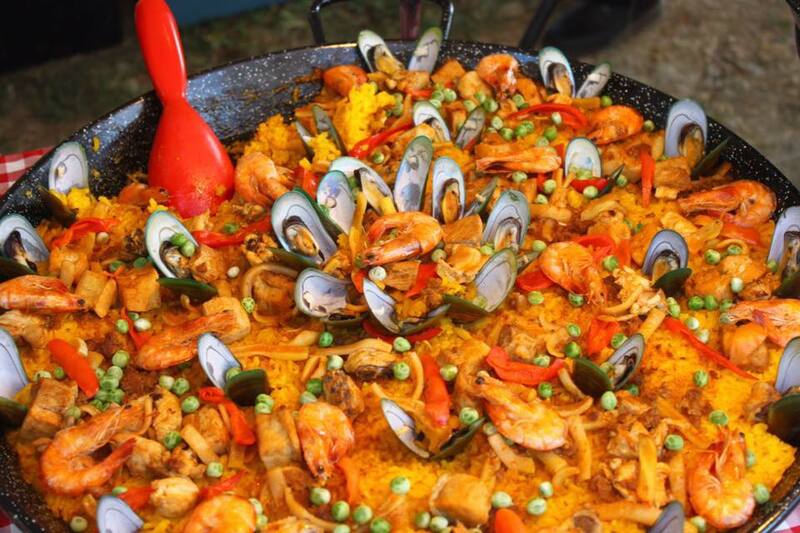 Hala Paella brings the Spanish comfort food in Cebu with a knack of Cebuano cuisine, specializing in casual Spanish dining with dishes made from the best quality ingredients with reasonable servings and affordable prices. With a taste in Spanish and a touch of Cebuano cuisine, the paella is best in town! Located in Cebu City’s Marriot Hotel, the restaurant provides a welcome vista of the gardens and a collection of Filipino and international cuisine. The restaurant has been awarded the “TripAdvisor Certificate of Excellence in 2015”. Your dining experience will not be the same again in Garden Café because of the diverse food selections and the accommodating staff. Café Marco is Marco Polo’s gem of a restaurant offering diverse cuisine including local, Asian and Western cuisine. Experience the diverse cultures at Café Marco where you are not the only one of the privileged few to relish Davao’s sumptuous buffet and challenge your gastronomic food preferences by trying cuisines from all around the world which take turns on the buffet menu daily. 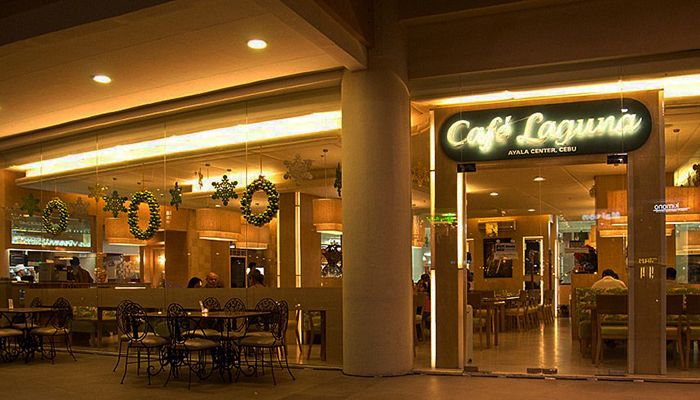 Café Laguna and Laguna Garden Café is conveniently located at Ayala Center Mall Cebu has become one of the favorite destination for those who love Filipino cuisine and with branches SM City Cebu, North Reclamation Area and SM Seaside City in South Road Properties, you cannot miss the favorites of the Filipino cuisine. Awarded by Philippine Tatler Dining Philippines Best Restaurants in 2012, 2014 and 2015 and TripAdvisor Certificate of Excellence in 2012, is definitely a must-visit place in Cebu if you are looking for comfort Filipino food to introduce the Filipino cuisine restaurant to guests. 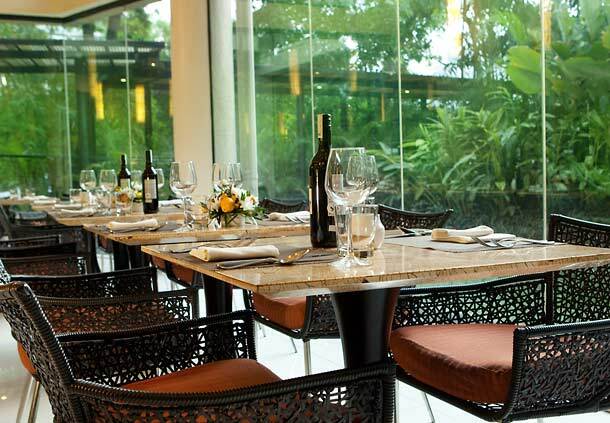 Feria fine dining restaurant is one of the two restaurants located at Radisson Blu Hotel Cebu that offers both local and international cuisine. With a high-spirited atmosphere and a variety of local and international dishes, Feria is your top choice for the go-to places for fine dining. 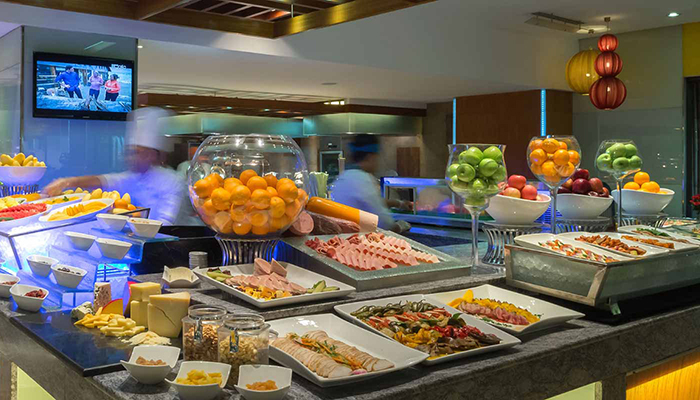 You can enjoy a sumptuous buffet or à la carte, with choices of the finest dishes and desserts from Mediterranean, Chinese, Filipino, Japanese, Indian and other Asian cuisines. Each dish is guaranteed fresh ably prepared by an award-winning team of chefs from around the world. The lifestyle and leisure destination, best places to eat Cebu and a quick escape from the hectic lifestyle in the growing city of Cebu. July 2016, saw the opening of Circa 1900 Casa Dos, of what used to be the ancestral house of the Jereza Family located just across Casa Uno. The restaurant is a speakeasy of sorts inside a turn-of-the-century house located at Sanjercas Ville Ext Rd, Cebu City, Philippines. Circa 1900 Casa Dos includes Cicada, a tapas bar featuring alfresco casual dining and function space complete with a swimming pool. It also serves casual comfort food for lunch and in-between meals as well as tapas and pre- or post-dinner drinks. From its humble beginning, first, as “Ang Kan-anan ni Kuya J Corner” eatery along the streets of Cebu City, Kuya J has metamorphosed into a full grown chain of restaurants offering Filipino cuisine, perfectly cooked and presented like fine dining cuisine to one’s satisfaction. 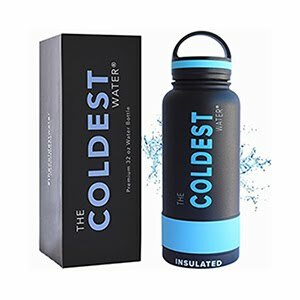 Today, it has strategically located in branches in Tojong Street, 15 N Escario St, Cebu City; SM City Cebu and SM Consolacion. 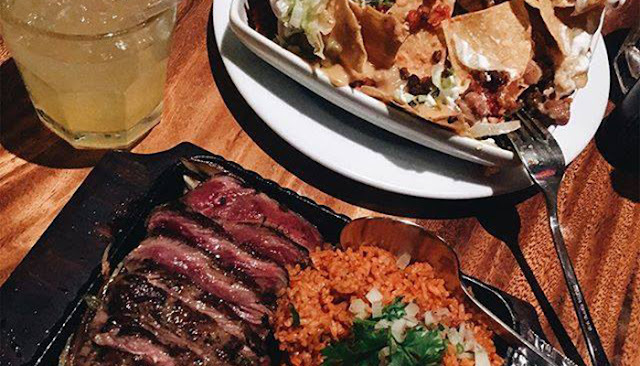 For good food and affordable prices, its Kuya J.
Comfortably located at Crossroads Mall, Cebu City, Maya Mexican Restaurant serves Mexican food like tacos, enchiladas, nachos and baby back ribs cooked the Mexican way. Owned by the Abaca Group, Maya was created to be a casual restaurant and tequila lounge where the sophisticated yet casual allure of Maya seamlessly blends old world charm with modern elegance. With succulent aromas from the kitchen mixing tradition and ingenuity while setting the stage for your dining pleasure, Maya also has the largest selection of 100% pure agave tequilas in the country, which in addition to our premium house pours are sure to charm visitors. Strategically located at Sitio Garahe, Roosevelt Drive, Busay, Cebu City overlooking the amazing view of Cebu City metropolis especially at night, makes this restaurant a favorite destination among locals seeking good food and fresh air atop a mountain. A great tasting native food for the Filipinos that even Western and other Asian people will also appreciate.